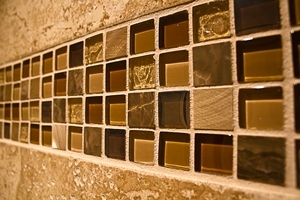 At ElkStone, we are very particular with the trades that we partner with. 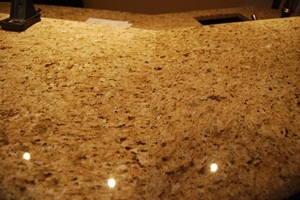 We strive to partner with companies that share a similar attention to detail at every aspect of the job. 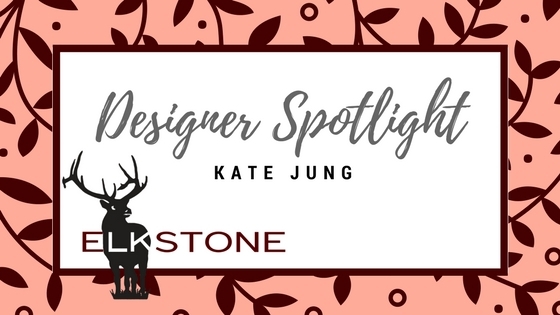 Today, I’d like to introduce you to one of our Preferred ElkStone Designers. While our estimators do a great job of helping you keep the flow of your home, adding a designer into the process can up the level of that flow. What Kind of Degree Did you Earn? Mostly Transitional; which is a blend of modern and traditional forms. If there is a common thread among every room I create it is, at least one antique, a special art piece, a plant to add warmth and a look of being curated with time. 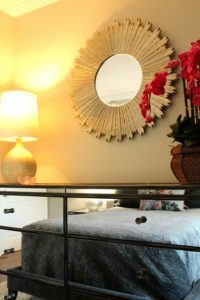 HGTV defines Transitional style: a marriage of traditional and contemporary furniture, finishes, materials and fabrics equating to a classic, timeless design. 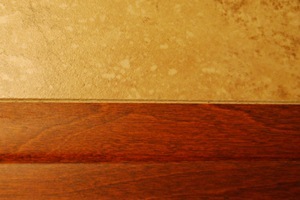 Furniture lines are simple yet sophisticated, featuring either straight lines or rounded profiles. Asking good questions helps but I’ve also found the best way to “visually communicate” a style preference is to ask my clients to spend time scanning their favorite magazines and online websites and saving looks that speak to them in some way. I always tell my clients, likes are immediate, so usually if something makes you go hmmmm…it’s worth sharing. When they share these tear-outs, pins, etc. I’m able to ask deeper questions to really pinpoint a design direction. If a homeowner asks, I am always happy to share portfolio images from a past project and detail similarities, but truly, every project is unique and client specific. 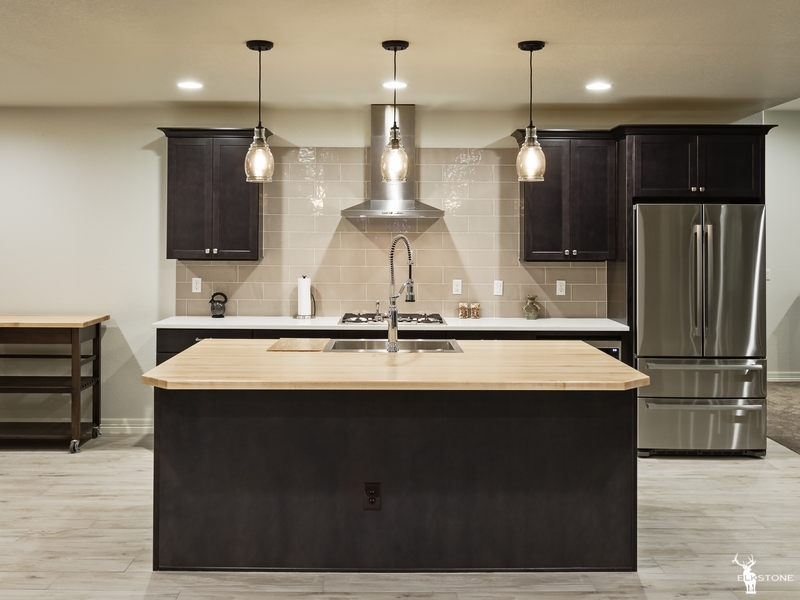 No two projects are exactly alike so therefore while a budget may be very similar, the project typically unfolds in a very different way based on the Client’s personal style, tastes and involvement. How do you document and Share your work? My free time is limited but when I have the time to do so, I enjoy sharing a recent project image and description on facebook. 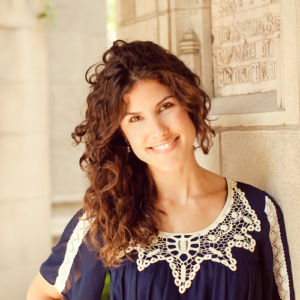 My up-to-date portfolio sits on my website and is easily shared online with prospective clients. How do you manage the project budget? I use google sheets which stores and shares information easily and in the 24/7 accessible cloud. My clients are always surprised with how this aspect of the projects seems so simple. When I hear this, I feel I am doing my job well! The design process should be simplified and fun for the client. How much time does an average basement project take once the construction is finished? We usually come onto a project while it is still under construction to help make the important finish decision and often consult on the interior architecture at this point too. The average is under 2 months. I am inspired first and foremost through nature. I find the blue-greens of the ocean mixed with the neutral tones of sand the most soothing color palette in a home. When I travel I find fresh perspective too, especially in architecture. How do you stay up to date with current trends, technology and codes? I use a lot of email. But then there are the times when a face to face conversation is the only thing that will do. I feel it’s the most productive as we can understand clearer and often communicate more effectively in person. Emoticons only express so much. What does a successful project mean to you? One that the client is proud of. If I hear they can’t wait to open the door to their new home or office each day as they walk back in, that brings me so much joy! 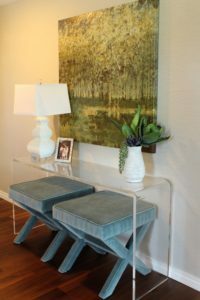 And since details are so very important, I like to hear how the Client discovers new things they didn’t see at first when the project is complete. For example, how a mirror places just right reflects the sun into their room in the afternoon. What is your feeling on trendy design features? Trends are fun but should be considered as a short-term investment, and thus I caution on using too many as they will date the project. 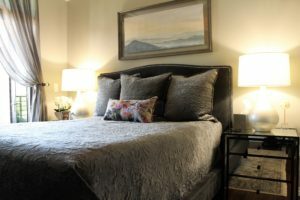 I encourage incorporating any trends in smaller ways, less costly ways such as through a pillow pattern or paint color. I lean toward creating interiors that will not be dated in five years’ time, so I tend to use colors & classic patterns that have longevity. 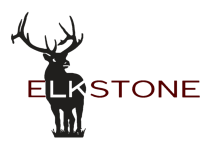 What does it look like to work with an ElkStone designer? Fun, Of Course! As I mentioned before, the design process can be overwhelming, but when you have the right team, it should seem simple and fun. The right team can take the dilemma of too many decisions to make and turn it around to effective solutions that are budget-minded and beautiful. How does the design process flow? After an initial consultation at the job site, I create a Project Program to define the scope and get us on the same page for budget. The design process is fairly creative from there with some research, a little more development then one or two very fun design presentations with the client, always face to face, if possible. We may make a revision or three or some add-ons, but once the proposed design and any revisions are approved, ordered and wait time is over, the magic unfolds as we begin installing and the Client sees all the ideas come to life! We welcome you to check out more of Kate’s portfolio at Noble Design Group or Facebook and if this is a service you are interested in incorporating into your basement finish space, please let your estimator know at your complimentary consultation. 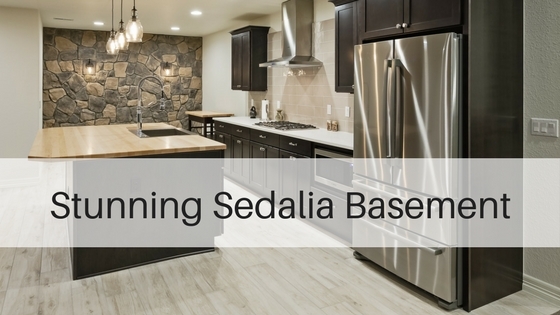 This Stunning Sedalia Basement Finish checks off all of the boxes for a dream finished basement space! 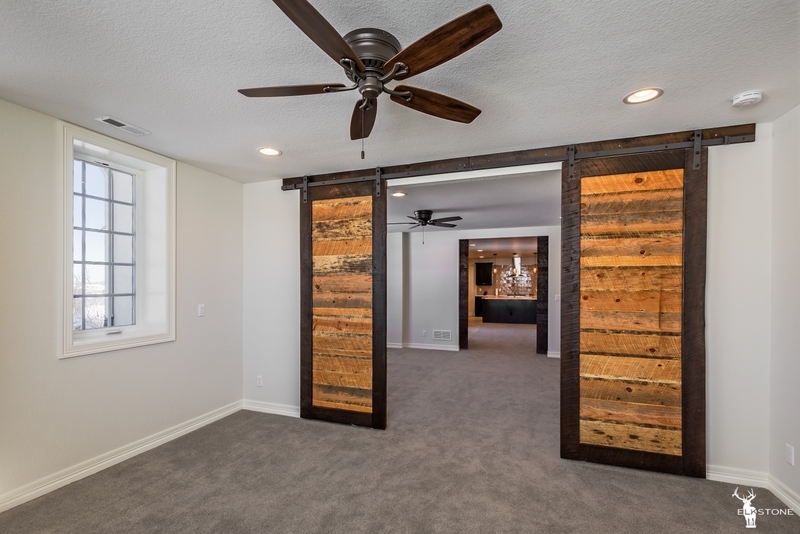 What a gorgeous value add these homeowners gave their home in this Stunning Sedalia Basement Finish! Are you looking to upsize your home? Do you need more square footage or an extra bedroom? Or perhaps you would like to increase the equity in your home? Save the hassle of moving & Give us a call today for a free no obligation quote! 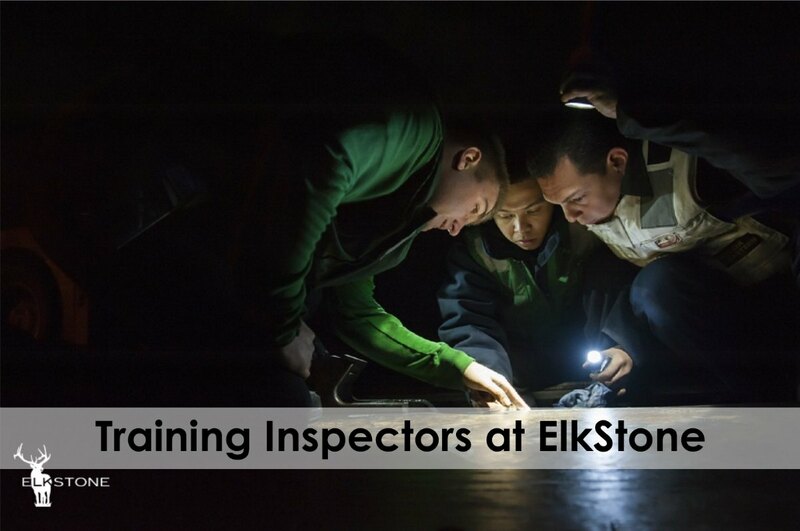 One of our project managers, Phil, called to get his inspection ETA today for a basement in Littleton, and they told him they’re having a training session for the entire building department at 9AM at the basement! Phil raced over there and good thing, too, because after all the building officials arrived there were no more parking spaces! All up and down the street were Jefferson County building inspector trucks. 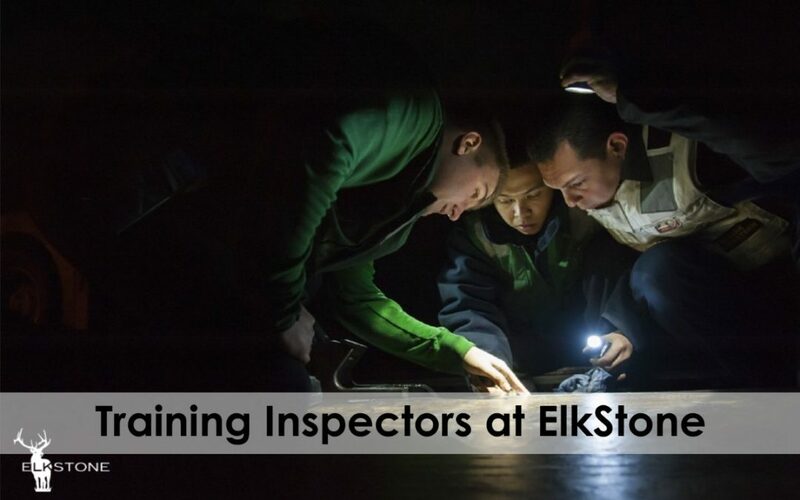 After he introduced himself to the chief building officer and all the other inspectors, he led them to the basement where 12 inspectors with flashlights combed over every part of the basement as part of their training. This went on for over an hour! Interestingly, in JeffCo you cannot call in your framing inspection until after you’ve passed your electrical inspection, so it’s a two day process. When the training was over all twelve inspectors couldn’t find one thing wrong and unanimously passed all roughs and framing inspections at the same time without one correction notice. Congratulations to our all our employees, subs, and vendors who do this kind of work day-in and day-out. I’m so proud of the entire ElkStone team – well done! The question often comes up on how ElkStone frames our basements. One issue that is whether to frame the studs at 16 inches on center or 24 inches on center. Typical structural construction requires studs to be framed at 16 inches on center. The basement walls however are not structural and most of the time in the Denver metro area the walls are actually floating. The soil in the front range of Colorado often contains bentonite which if it becomes wet will contract and expand. Because of this condition, the building code requires the basement walls to literally be hung from the first floor joists above. The bottom of the wall is anchored to a floor plate by extra large 60D nails. If the floor does heave or settle the wall will float or slide on the 60D nails. The floating walls are structural only in that they keep the drywall and trim in place but they won’t push up on the floor joists above which would cause significant structural damage on the floors above and throughout the house. Symptoms of structural problems from non-floated walls are sticking windows and doors, and cracking drywall. When a lot is in consideration for new home construction one of the first things a builder does is order a soil survey. A geoscience company will drill several test holes on the property where the home will be placed and submit the dirt core to a lab for testing. If the test results contain a certain amount of bentonite then the engineer will recommend a floating basement floor and a foundation supported by piers instead of a footer. You would recognize this if your basement floor is wood or if you have a concrete basement floor with a crawl space below it. 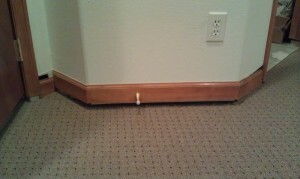 You can identify this if there is an access panel in your basement floor that opens to a crawl space below. Back to framing. A stud is defined as a dimensional lumber that has a specific length. Most often we purchase studs but because we’re working in a confined space between the basement floor and the bottom of the 1st floor joist above, we can rarely use the full length. Studs are intrinsically not straight because they are cut from a tree which has a grain. The studs are kiln dried and often twist and bow in the drying process according to their grain. Because of this it’s my theory that the less you sample the studs the straighter the wall. In other words, the drywall we attach to the wall comes in contact less with the studs framed on a 24 inch on center wall than a 16 inch on center wall thereby making the wall straighter than if you attached it more frequently to the studs. Another reason we choose to frame basement walls at 24 inches on center is that it uses less lumber. This has several benefits. First, since it requires less lumber this conserves natural resources. It also keeps costs down and is less work for the framer. It’s also less work for the electrician and plumber who have to run their wires and pipes through the studs so they don’t have to drill as much. Because framing the studs 24 inches on center it makes easier it’s also faster which also costs less. In theory you could frame the studs at 8 inches on center but this is silly. It costs more in materials and labor, takes longer, and isn’t necessary. So why go through the expense if it’s not needed. Some will argue that the walls are sturdier. I’d agree with that but it’s not a practical matter. There’s no instance I can think of that the walls need to be sturdier throughout the basement space. Obviously there are certain places where we beef up the wall with extra studs for a wall mounted TV or wall cabinets but from a day to day practical matter, I don’t see where you’d need the walls to be sturdier than what 24 inches on center provides. Have a different view or angle to consider? I’d love to hear your thoughts so please leave a comment below. To finish, or, not to finish? This IS the question many homeowners are asking these days. Life doesn’t come with an itinerary and so the home that you bought ten years ago, when it was just the two of you lovebirds, was more than enough room. But now you have acquired 2.5 kids and a dog named Spot and it seems as though you are all living right on top of one another. You need more space so obviously the first thought that comes to mind is: MOVING. I know, it makes the hair on the back of your neck stand up. People enjoy moving about as much as they enjoy root canals. Instead of moving, have you ever considered renovating that dreary, useless stuff-filled, space below your house? Some people refer to them as dungeons or “storage” but it’s really a basement, and it can be used for so much more than hiding old, embarrassing family photos and the sweaters grandma sends in the mail every Christmas! 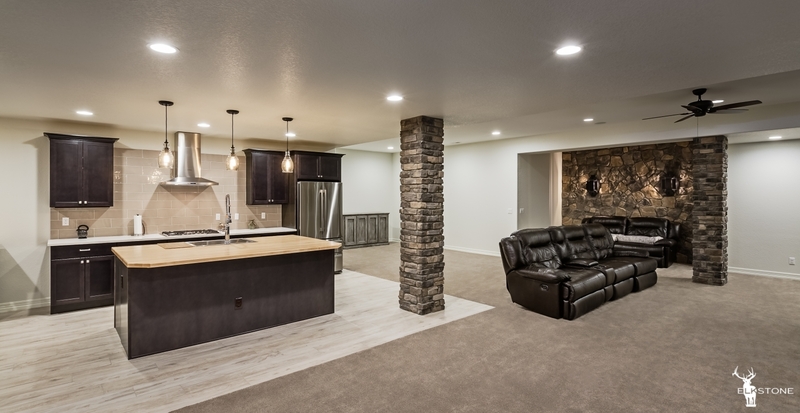 So now that you are seriously pondering this, here are some really good reasons to finish your basement INSTEAD of moving into a new home. 1. Money, money, money. 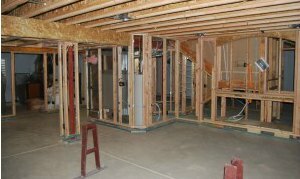 Depending on what you want to do with your unfinished basement space, renovations could cost considerably less than relocating your life entirely. 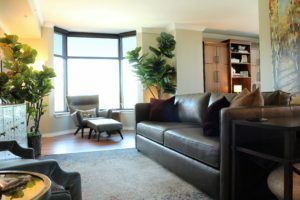 The current average cost for a basic basement renovation is around $35 per square foot. So this would equate to about $35,000. Obviously the more amenities you include the more your price will increase, but it will still cost less than a new home. 2. Again, with the money. 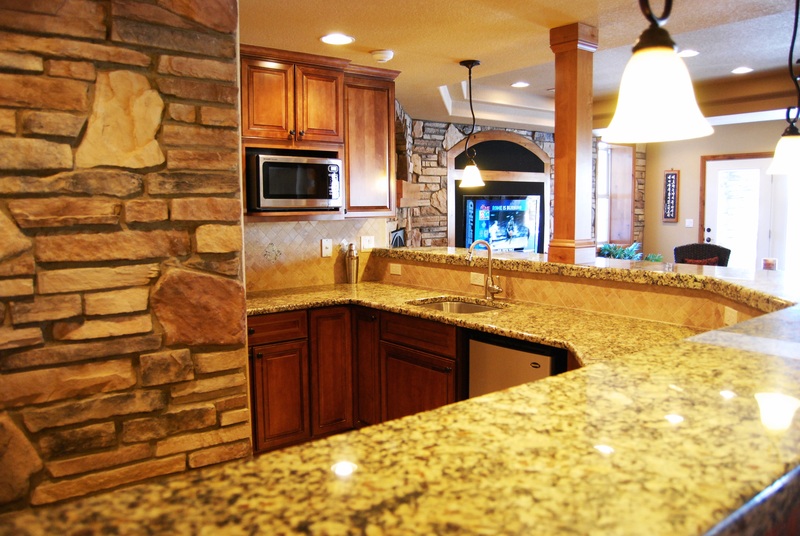 Finished basement areas are a desirable feature to prospective homebuyers. 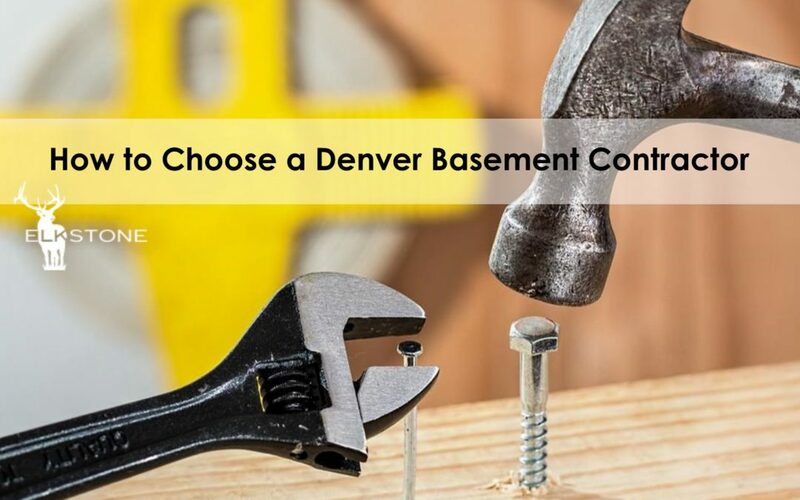 If you decide to finish your basement and create a useable and versatile space, this could mean a decent return on your investment if or when you decide to sell your home. 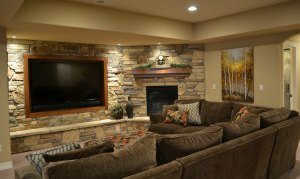 The key is to make your basement functional and somewhat neutral. Obviously, if you decide to create a floor-to-ceiling replica of the moon landing in your basement, this might not appeal to many buyers, if any. Just try to think ahead! 3. Wait, you mean there’s MORE money? As lonely as an empty nest can be, every parent can find a reason to enjoy an empty home. The question is; what to do with all of that space? Well, why not make money off of it? That’s right. 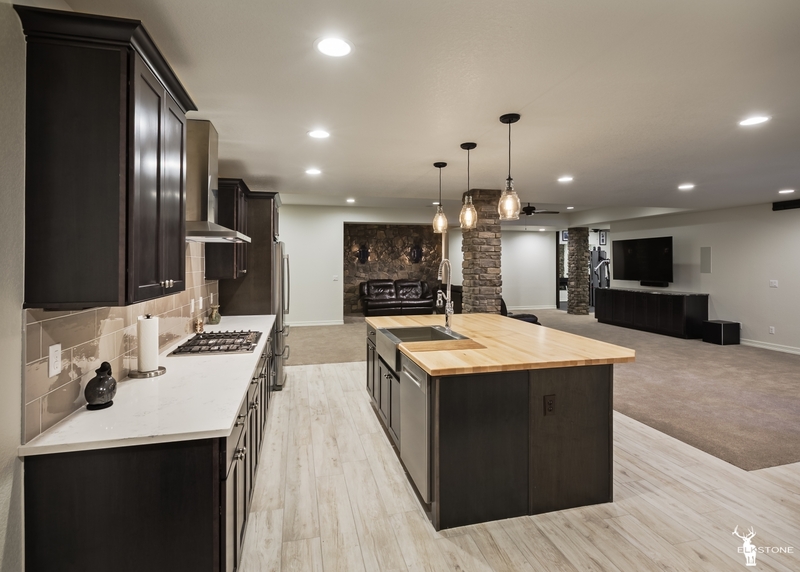 Many homeowners rent out their unused basement space and, according to Remodel Magazine, many basements can be rented out at anywhere between 50-75% of the monthly mortgage cost if zoned for multi-tenant use. 4. SPACE. That is what you are looking for, right? Think about all of the amazing things you could do with it! 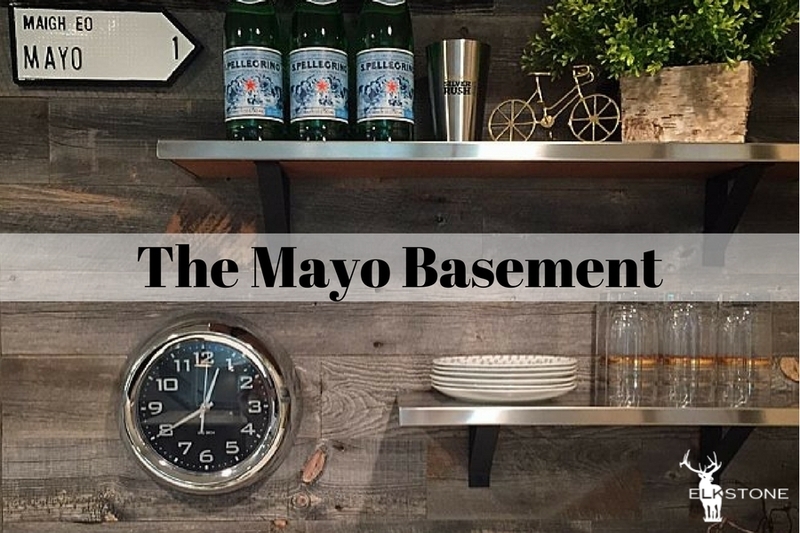 A well-constructed basement space can be used for so many things. Obviously the most popular choice is a space for the kids. Whether it is a movie room, a play room or a room or a room used specifically for arts and crafts, you will finally be able to reclaim your living room! Or, you could go the other direction and create a LARGER family room in your basement and save the space on the main level for grown-up entertainment. The options really are limitless! 5. Designed space. Yes, there is a difference. Most basement spaces in homes do come equipped with the necessary plumbing and electrical outlets to create additional living space. 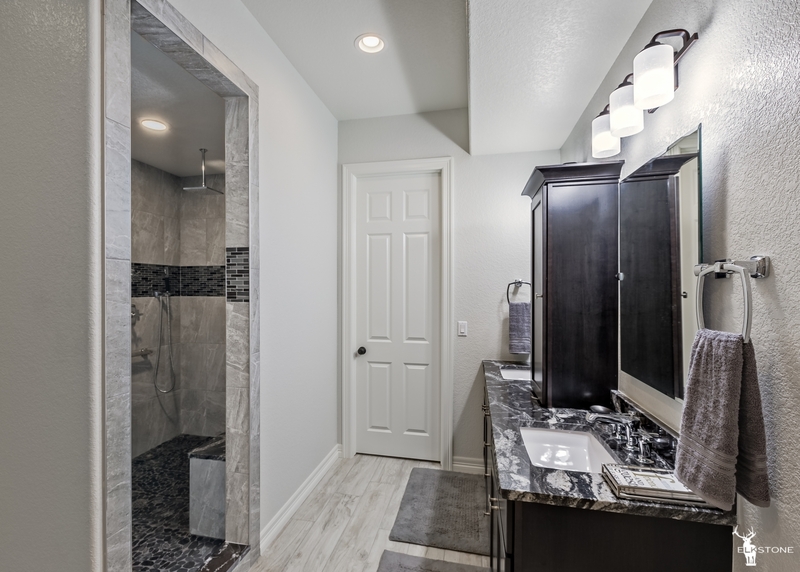 So, if you are thinking about expanding your family, whether you’re thinking of a brand new addition or a comfy space for your mother-in-law, if you have the space then you definitely have the option of creating more bedrooms and bathrooms. 6. Yard sale! 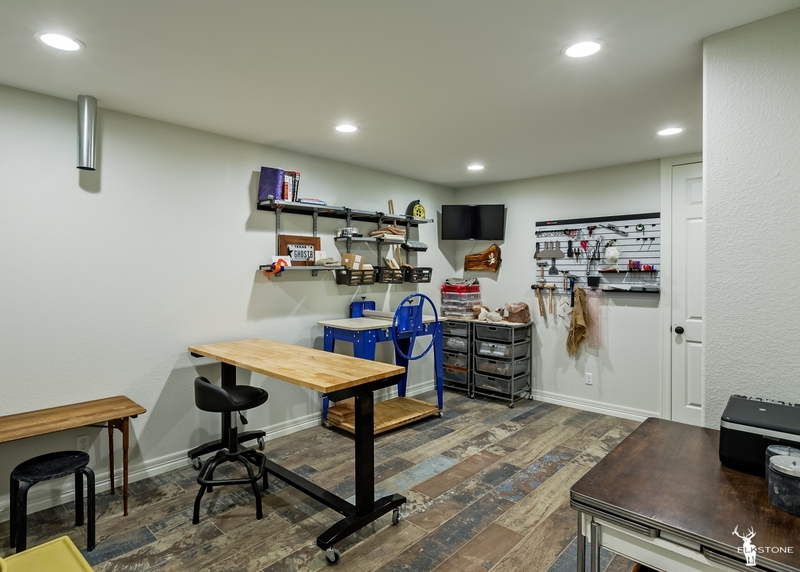 A basement renovation will finally give you an excuse to clean it out! How much storage do you really need? Your home should be a LIVING space not a storage space. 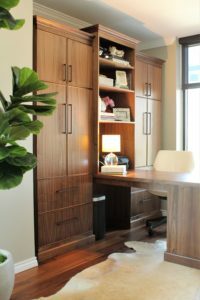 If you find yourself in a position where you need space to accommodate inanimate objects in place of people or family, then you should consider adjusting your priorities. 7. An unused space is a haven for unwanted guests! A dark, damp and unoccupied basement is precisely the type of environment in which insects, rodents and mold thrive. And if you’re never down there, with your vast amounts of stuff, then how would you know you even had these unwanted guests? No, you are not in any mortal danger from suffering a spider bite or a run-in with a mouse, but these creatures aren’t exactly pleasant. Some can cause mild illnesses and if you get an infestation, they can be costly to remove as well. 8. And lastly… MONEY. According to the 2010 U.S. Employment Census the average, annual income for a “full-service” mover is about $60,000. There is a reason for that and it is because moving is a loathsome and stressful experience. Oh, not to mention, EXPENSIVE. After acquiring three different estimates it was discovered that the average cost for a full service move, for a 2,100 square foot, 4 bedroom home, with 4 occupants, is about $7,000-$10,000. So, if you add up the cost of moving expenses (which doesn’t include your preparation expenses), mortgage and loan fees, closing costs and realtor fees, you could be close to spending the same amount on a move to a new location that you would on a basement renovation. Convinced yet? If this has sparked your interest and you want to take a basement addition or renovation into consideration, contact us to start your free estimate. You might just be surprised how much basement you can get for your buck! The answer is… it depends – but let me explain. 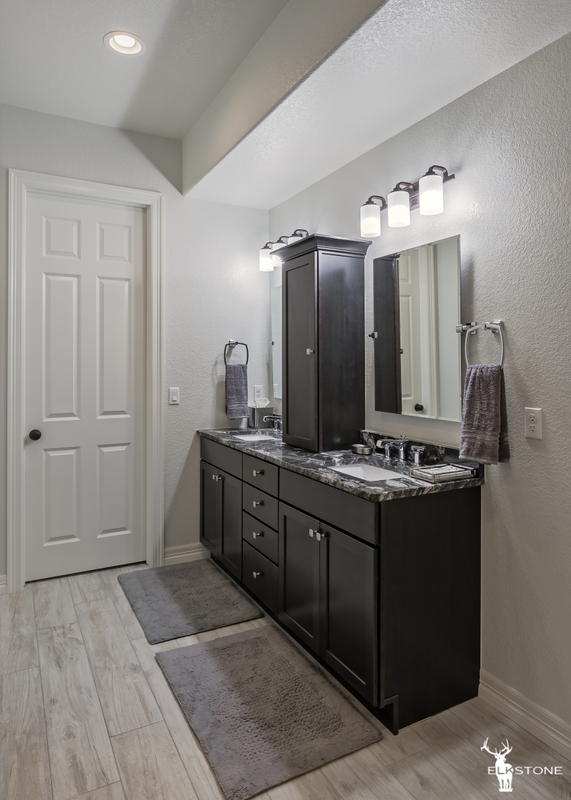 Interestingly, a medium sized basement of about 1000 square feet is usually pretty simple to plan for because there are only so many places to locate the bedroom and bathroom. 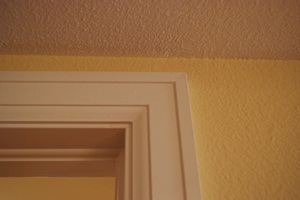 The basement bedroom has to be located next to an egress window, or a new egress window has to be cut in. We like to “go with the flow” to keep it simple and keep costs down. Typically a basement finish will include a bedroom, bath, and rec area. 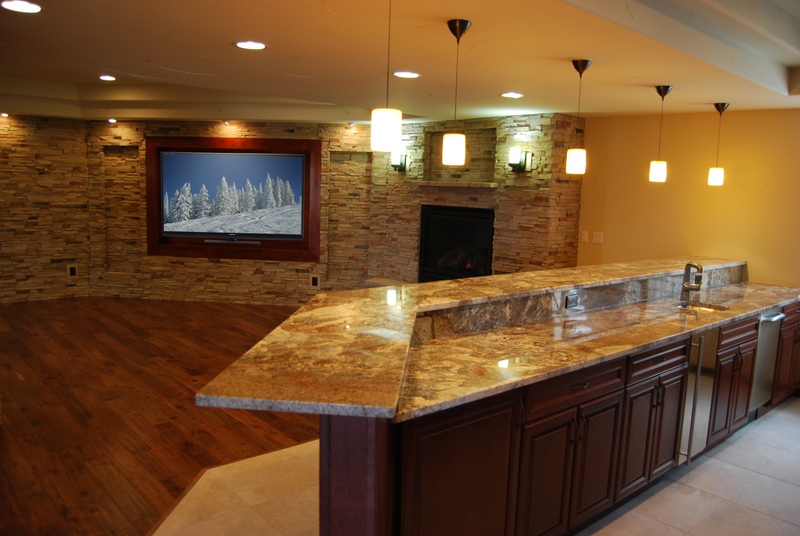 There are a plethora of other items you can add like a wet bar, fireplace, theater, billiards area, and the list goes on. 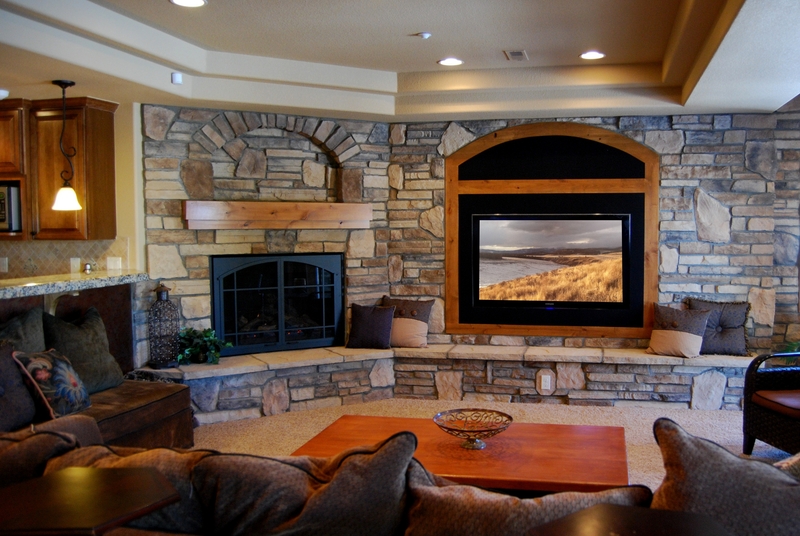 To see photos of a variety of basement options, please visit our Gallery. 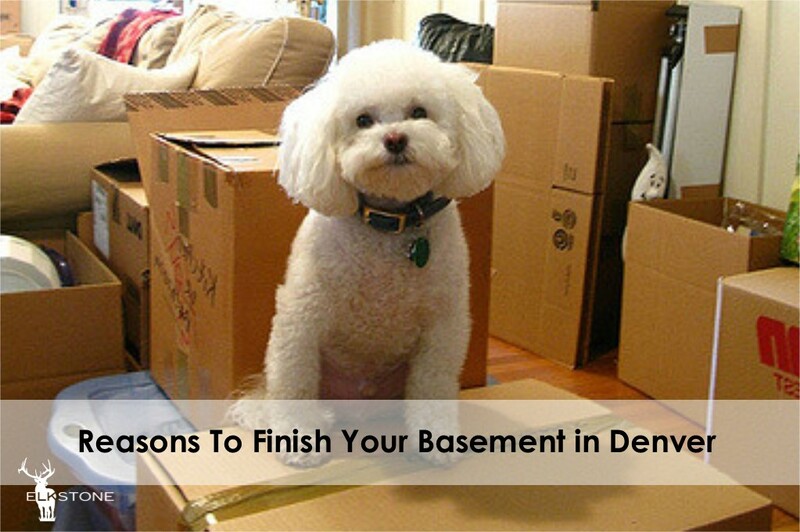 Ironically, small basements and large unfinished basements are more of a challenge to design. 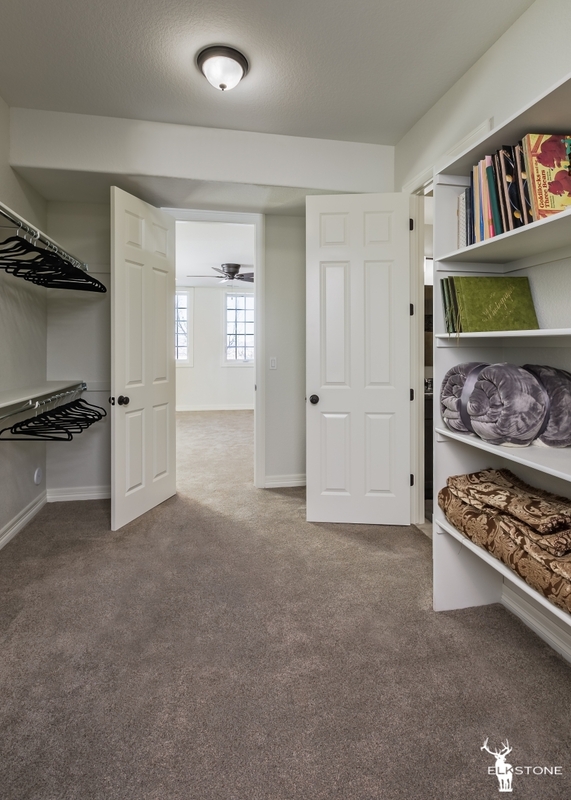 With large unfinished basements, there are so many options that it can become a little overwhelming. 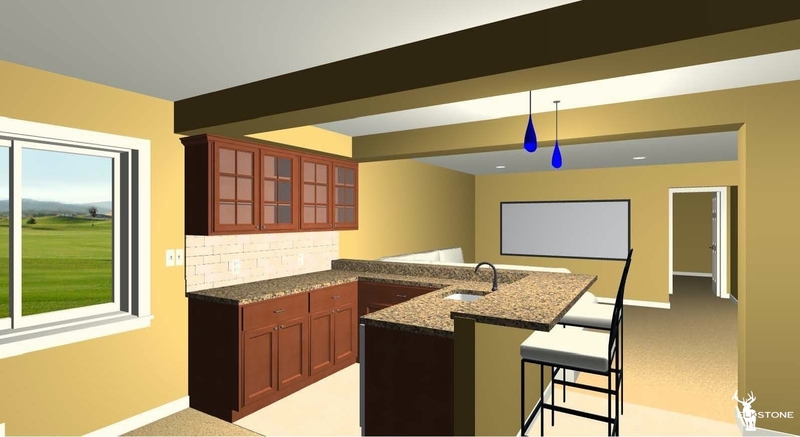 However, what we like to do is a design a rough draft for your basement plan and see what you think. 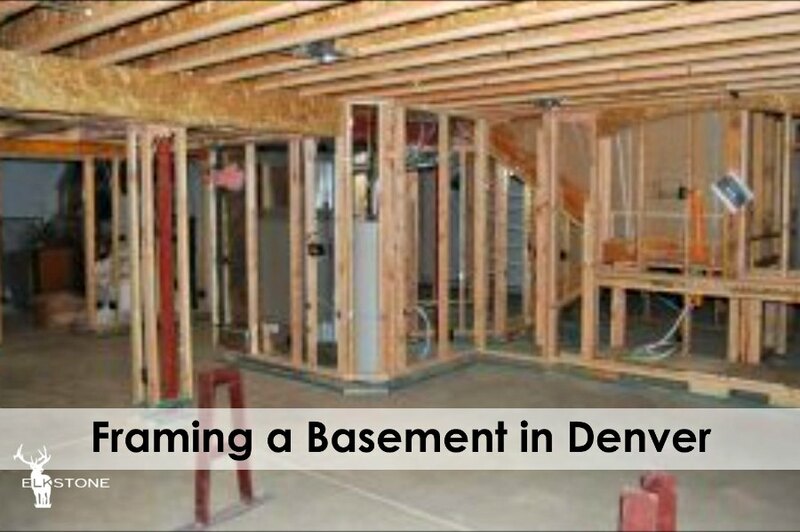 Most of the time when you’re considering a basement plan, it’s an ongoing process. Occasionally we’ll get it right the first time but oftentimes we go back and forth with you to discover exactly the plan you’ll be satisfied with. 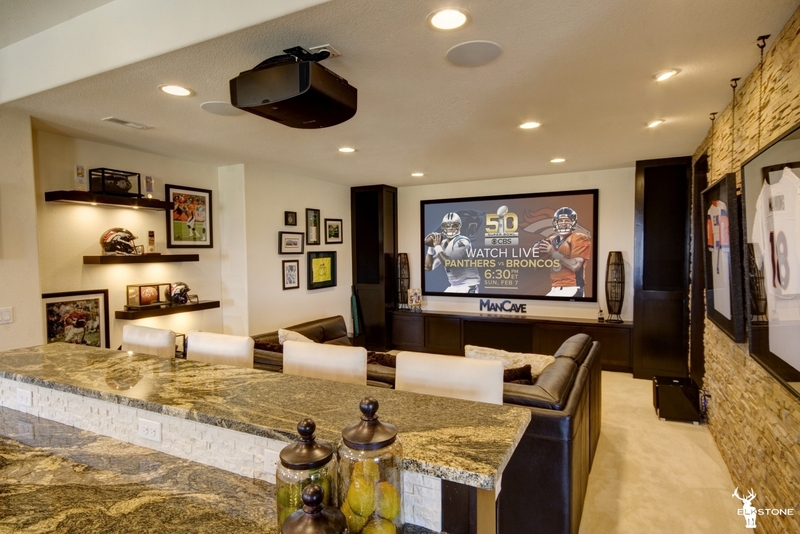 The design is one of the most important issues to consider when finishing your basement. Make sure you’re comfortable with that before building because you’re the one who has to live with it and see it every day. ElkStone can render your basement design plan in 3D so we can fly over it and walk through it to help you conceptualize the basement space. 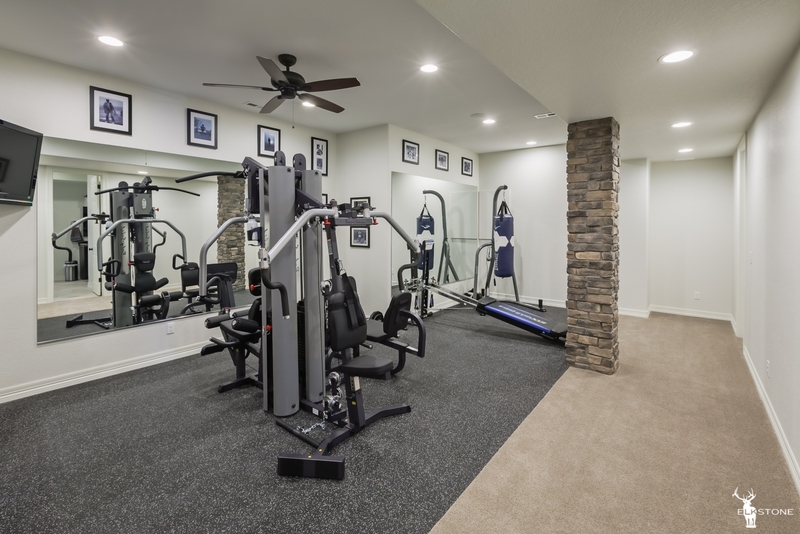 ElkStone’s basement estimators have designed hundreds of basement plans so they’re experts and have clever ways to design around challenging features in the basement such as structural posts and furnaces. Once you approve a rough draft, they’ll complete the estimate which is a 400-line item basement cost worksheet. This is ElkStone’s way of determining exactly what it will cost to build your basement. 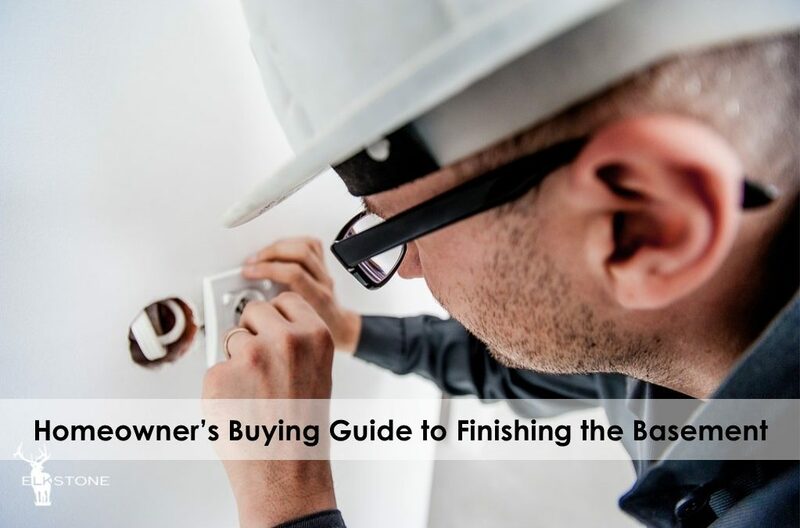 We can tell you how many linear feet of baseboard we’ll need, the exact number of light switches, and even how many sheets of drywall it’ll take for us to build your basement. We like to be precise when it comes to pricing your basement! 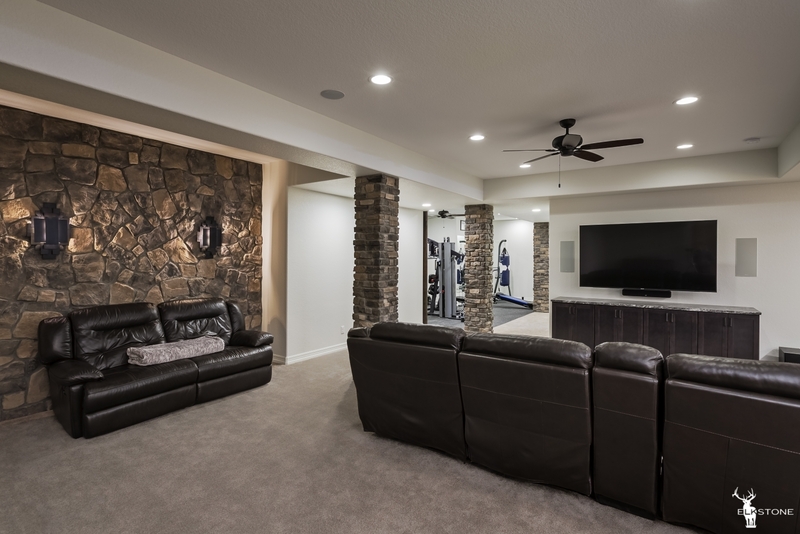 Once we give you a price to finish your basement, that price won’t change. Our basement proposal priced is fixed and won’t change. 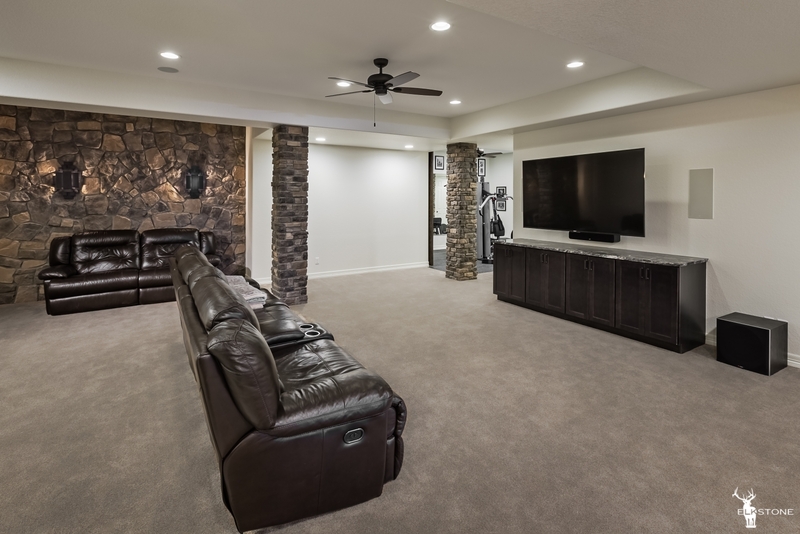 Once we give you a price to finish your basement, that price won’t change. Our comprehensive basement estimate does two important things for us. 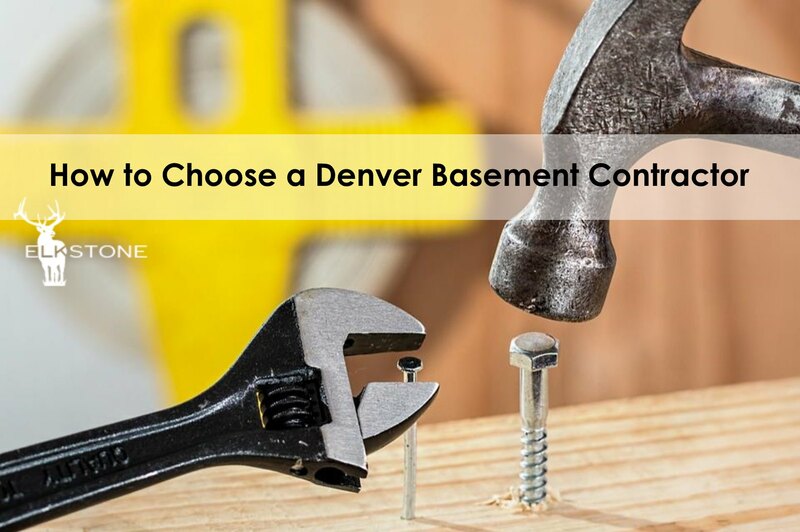 First, since we know exactly what it will cost to build your basement, we can be more competitive since we don’t have to add in more margin because of uncertainty. Second, we know we’ll always be profitable as a business which allows us to provide the full level of service which you deserve. When contractors don’t do their homework and find out during construction that they aren’t making any money on your job, they’ll switch priorities to other jobs and leave your basement project neglected and you frustrated. In extreme cases, they’ll cut corners and or walk off your job. I know, because we’ve finished basements where another basement contractor started the job and then went missing. The appeal of their low price they offer can be irresistible, and if they have references that’ll seal the deal – and the unfortunate circumstances that will follow. 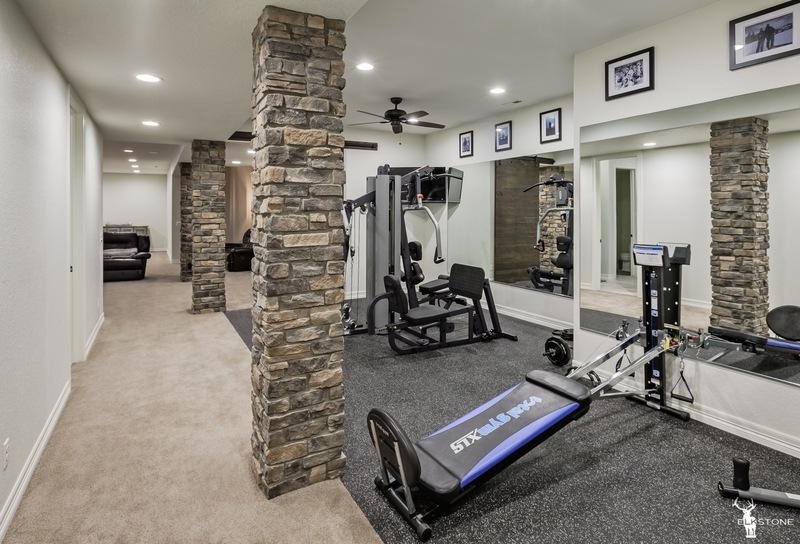 But since ElkStone knows exactly what it will cost to build your basement we can competently complete the basement project while making the job mutually satisfying. Okay, so now you know how we get to our pricing – but here are some guidelines that will further explain basement prices. 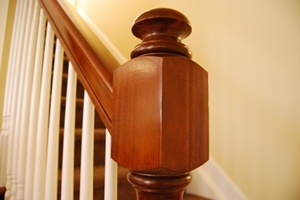 A price per square, or PSF, is a common means of quoting a basement price. The only problem with this is that it’s not accurate. It’s merely a ballpark price. ElkStone does, however, track PSF – but only after we have completed our comprehensive worksheet, then we look backwards to see what is the basement PSF. We use PSF as a point of reference and not a means to price a basement. 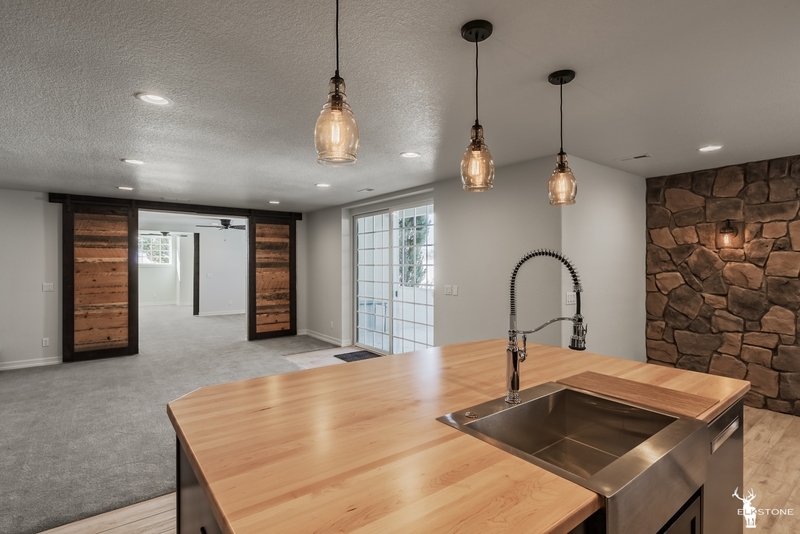 The smaller the basement, the higher the PSF cost because of large fixed costs such as a bathroom, fireplace, or wet bar for example. Regardless of size, the price for these items doesn’t change so if you put them in a small basement there will be a high PSF and inversely with a large basement. 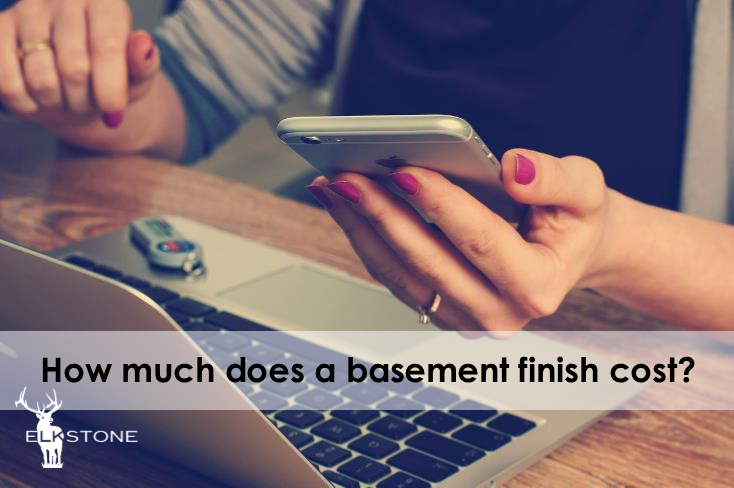 There might be a linear equation if all basement costs weren’t fixed but that’s simply not the case. 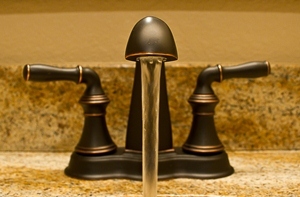 Take the cost of a basement bathroom for example. It’s a large fixed cost that will be same whether it’s in a 2500 square foot basement or a 500 square foot basement so that’ll throw off the PSF formula. If you receive a basement estimate price in the $20.00 PSF range – beware! It is possible, but you’ll need to do your due diligence and there’ll be a few items you’ll have to compromise on. Check for licensing and insurance. If a contractor offers you a cheap basement finish price then asks you to pull the permit or put the basement finish permit under your name, then they’re not licensed. 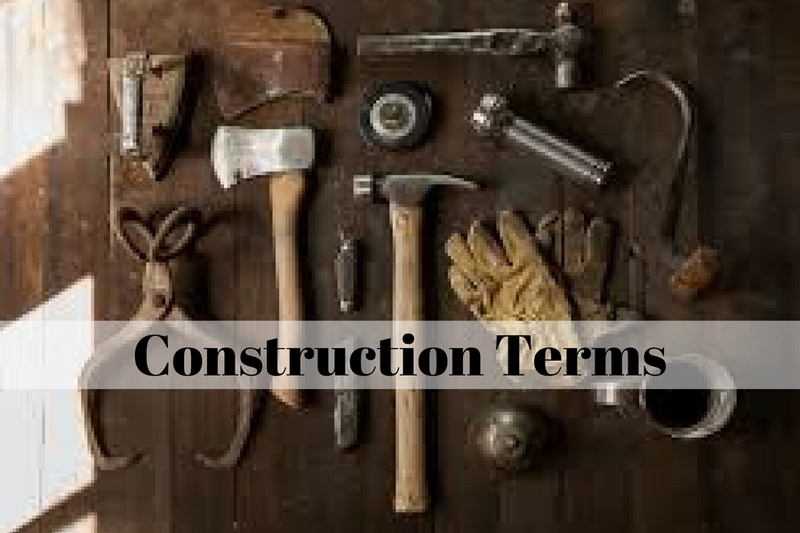 This could also mean they’ll be doing work only licensed contractors are permitted to do such as electrical wiring and plumbing. You wouldn’t believe some of the safety hazards and absurd building methods we’ve seen over the years! We ask ourselves, “What was this guy thinking when he built this?” Just ridiculous stuff! It would seem an electrical fire and plumbing flood would be imminent with some of the stuff we’ve seen. What is compromised is the timeline and maybe the quality, too. 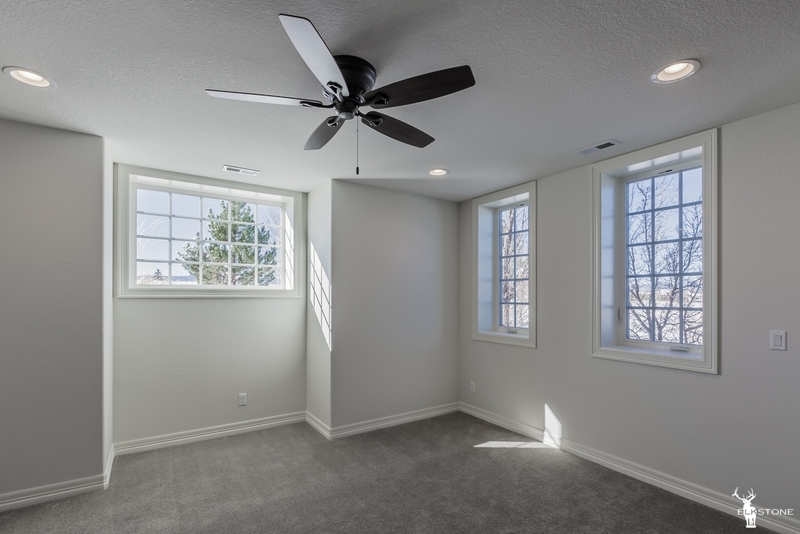 Usually the low price guys do all the work themselves which may seem appealing at first because you’re only working with one or two guys, but that also means your basement will take forever – six month or more. 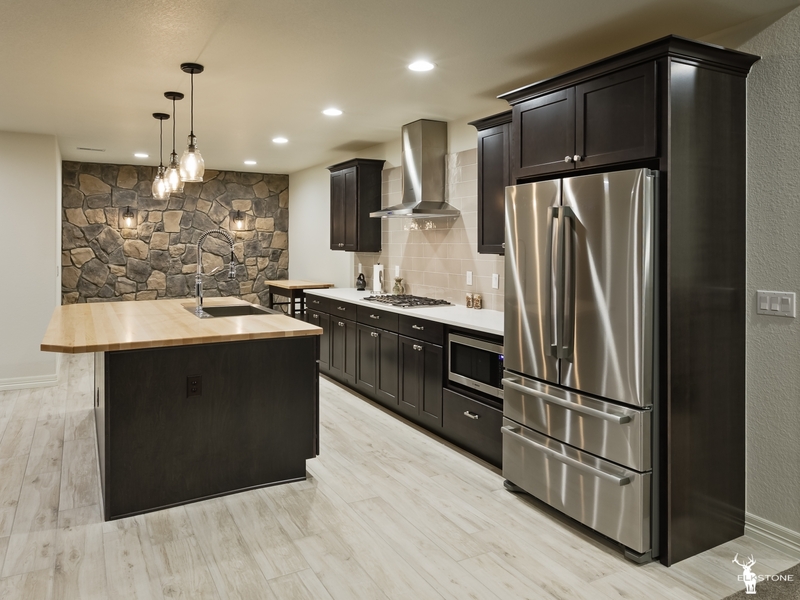 The one unique feature that makes ElkStone special and stand out from the one guy who does it all as well as all basement contractors in Denver is that ElkStone will finish your basement in FIVE (5) WEEKS. This is three times faster than normal! The others typically take 8 – 12 weeks. So you get to move in two months early with ElkStone, and we don’t charge extra for that, either. Three months is a long time to have contractors coming in and out of your house, making noise and dust. You will be so ready for that to be over that it often makes for a bad experience. 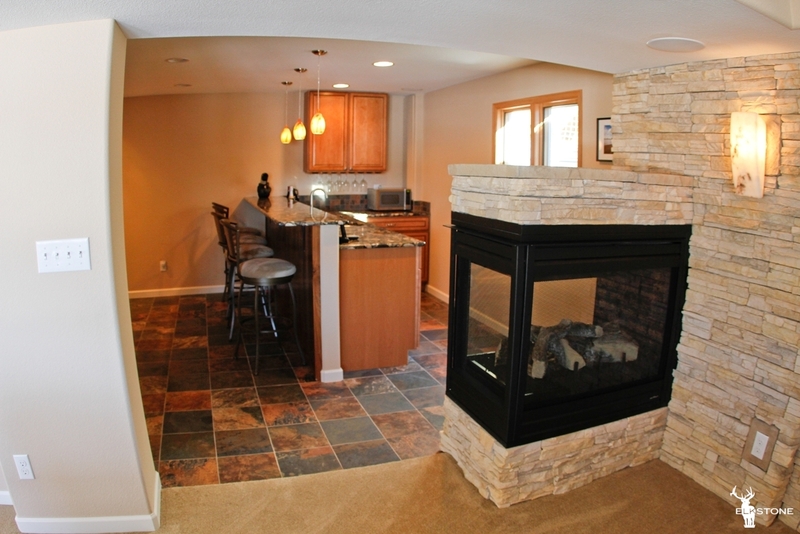 ElkStone will finish your basement in FIVE (5) WEEKS. This brings me to another side note, the “ElkStone Experience.” We provide uncompromising craftsmanship at a great price, and we try and make the construction a good experience as well. What other contractor has that as one of their top priories? We can’t guarantee a pleasant experience because when you’er working with people and dealing with construction – things can go wrong. But we pride ourselves on how we handle that. I’ll cover this in another basement and remodeling blog. Back to pricing; the other end of basement cost is upwards of $80 PSF. This price could be from a really small basement with a lot of features or a high end custom basement. You would typically see a high price like this from a basement contractor who has a showroom with full time architects and interior designers or a basement finisher who’s taking advantage of you because they think you have unlimited money. Our basements simply don’t get this high because our pricing is fixed based on cost plus markup. Regardless of the home you live in or your budget amount, our price “is what it is.” ElkStone believes in offering you our “best price first” so there won’t be any gimmicks to get you to “sign up with us today” or a “sale, today only”. 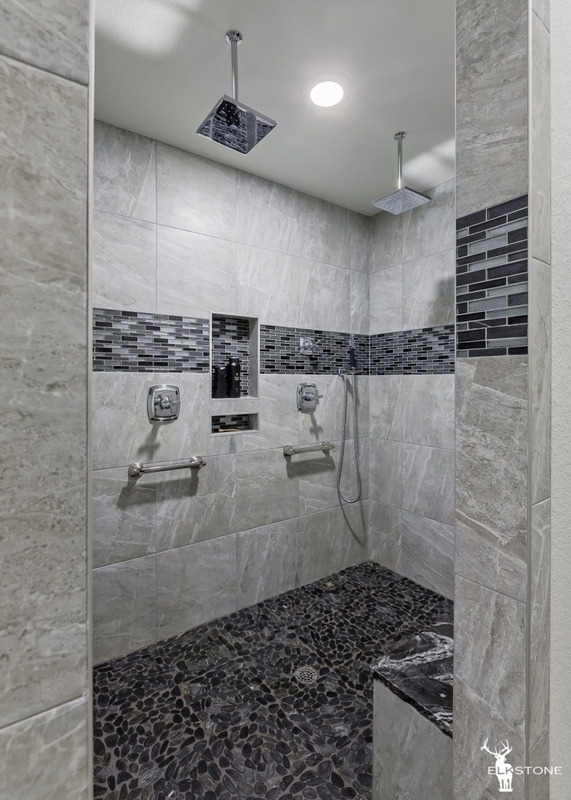 So in conclusion, you should expect to pay between $45 and $65 per square foot – but it totally depends on how many square feet you’ll be finishing in your basement and how many features you choose to include. 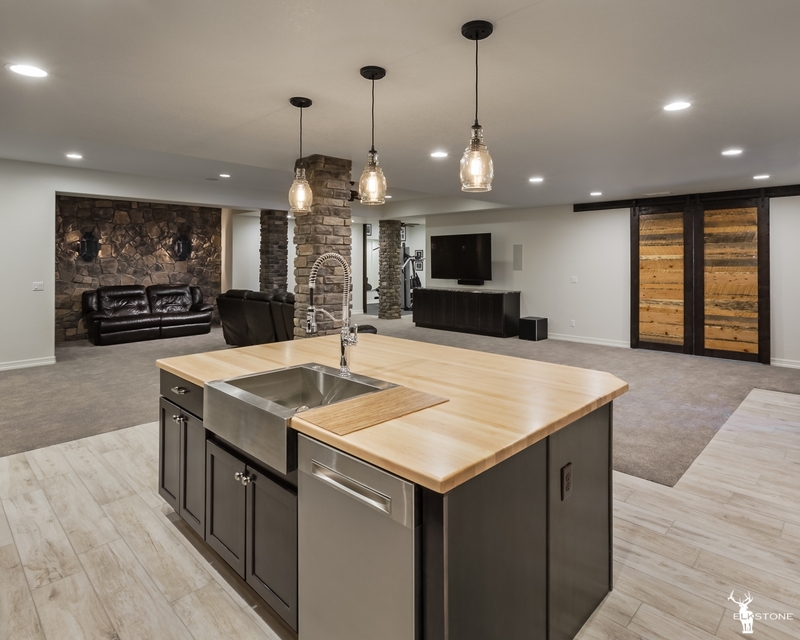 If you’re interested in having a free basement finish estimate then please feel free to email me at info@elkstone.com or call 303-656-9006, or contact us today.